Nowadays, innovation and development in all fields and industries are inseparable from innovation. Innovation can allow companies to â€œshoulder and lootâ€ in the fierce competition, and it can also allow products to â€œstand stillâ€ in the process of upgrading. However, what is innovation? How to innovate? Is it just breaking through traditions and making a difference? The 20th Dupont Innovation Packaging Award in 2008 also gave innovation a new conceptâ€”innovation or a responsibility. It needs to be in line with the sustainable development of society. The competition is based on the selection criteria of â€œusing environmentally friendly materials, effective recycling, and energy optimizationâ€, and the need for a harmonious coexistence of green, human, and nature as a prerequisite for innovation. Of the nearly 80 submissions from the Americas, Europe and Asia, 7 were awarded the Breakthrough Innovation Award and 3 were awarded the Outstanding Achievement Award. Some award-winning works will be published in the following sections in order to readers and hope to promote the development of China's green packaging. Explanation: Kraft salad dressings are still packaged in plastic bottles. Through the improvement of process technology, the weight of plastic bottles has been reduced by 19%, saving over 3 million pounds of plastic per year, and increasing the number of bottles shipped per truck. Greatly improve the transportation efficiency and save energy consumption. 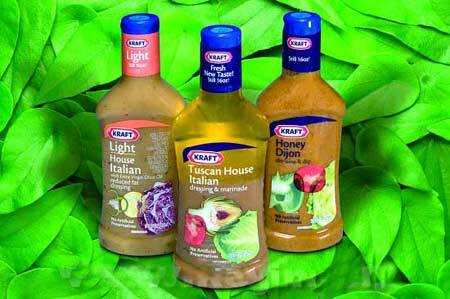 In addition, the unique design of Kraft's salad dressing also offers a lot of user-friendly conveniences, including easily-openable caps, and features that are easier to hold, pour, and store than the original packaging. Description: This work is a biodegradable package made from renewable resources. The outer packaging box can be recycled. The inner packaging uses plant-based plastic, allowing the consumer to select the most appropriate final product according to the local infrastructure. Treatment methods to achieve complete biodegradability and home composting.